What will happen to your fillings when you go on the raw food diet? How much bleaching can your teeth take? What should you know about mercury amalgam fillings? 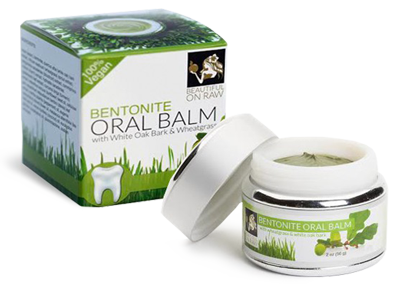 Can a raw food regimen “cure” an abscessed tooth? What are your choices if you have a missing tooth? What should you do if an extraction is inevitable? Which is the lesser evil - a root canal or a titanium implant? What are your options in choosing implant materials? How should you take care of teeth that have had root canals? How can you prevent your teeth from going bad in the future? 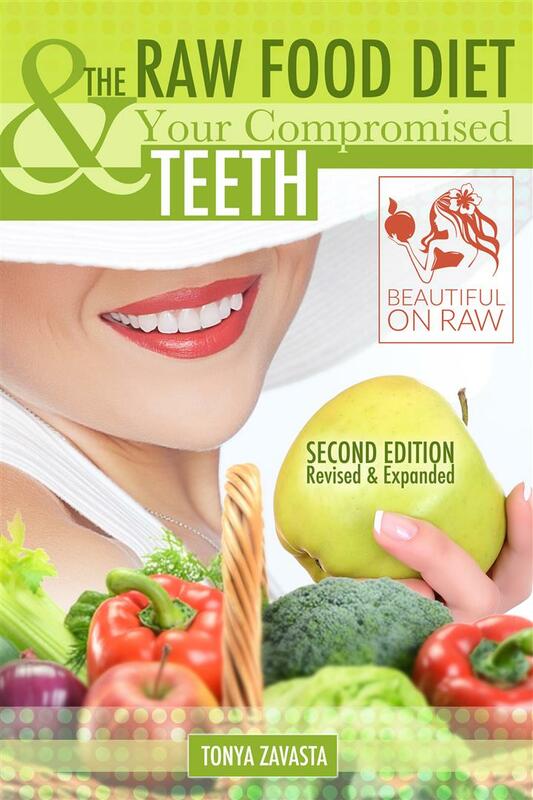 In this Ebook: The Raw Food Diet and Your Compromised Teeth, I address these and other issues with the benefit of personal experience. Dr. Robert Gammal has produced an excellent DVD entitled Rooted, exposing the dangers of root canal therapy and similar dental practices. The information Dr. Gammal presents is compelling. It's invaluable for those wanting to prevent the sometimes catastrophic results of root canal surgeries. Watching "Rooted" had me composing my own eulogy—seven root canals done in Russia before I was 30 means I should at least be hovering near death. Many health promoters warn you about the dangers of medical procedures such as removing organs and installing artificial parts. Make no mistake, this information is great for encouraging people to take care of their health and avoid surgeries, medical or dental. Many times the focus is on prevention - very important for those of us who haven't yet made major mistakes. But what if these warnings come too late for you? What if you've already had your thyroid or gallbladder removed? Or had a hysterectomy? What if you already have several root canals or missing teeth? These articles can be depressing for people in such situations. Let me share with you what I've learned about compromised teeth. But first... shouldn't you want to learn from someone with perfect teeth? Why listen to someone like me, who's lived through every imaginable ordeal in a dentist's chair, endured every dental nightmare by the time I was 30? I'm the voice of experience - that's why. Someone equipped with perfect healthy teeth won't know what to tell you about high-maintenance prevention and damage reversal, because they've never experienced the damage in the first place. I have. With the enormous childhood dental damage I've had to overcome, I've learned what to do, what not to do, and how to be fastidious with my dental care. No choice for me! I had to learn how to attack potential trouble from every angle. You may not have to be as thorough. But even if you do some of the things I recommend, you can still reverse some problems that have already begun to crop up and most assuredly prevent others. I can hardly watch the Rooted documentary. Thank goodness for your book. The girls and I are following the principles; they're enthusiastic which makes it all the better. We are the chain breakers. I release a spirit of grief over all of these [teeth problems]. Thank you for sharing. With the age of my girls, homeschooling, etc. I don't have the time for the extensive study and research that you've done. I can't tell you how appreciative I am to have your consolidated resources. What an immense blessing! All dental diseases are either preventable or reversible. Unfortunately this is not always the case. Take root-canalled teeth, for example - definitely preventable, but not reversible. They have to be dealt with. This is why you need to take a look at my book! Extreme situations call for extreme measures. The advice of people who eat raw and do not have a “ticking bomb” in their body is not radical enough for you. As for me, not only have I been there... done that... I've also lived to tell the story. Experience is a powerful teacher. I can tell you how being 100 percent raw affected me regarding dental health and dental procedures. I’ll show you classic mistakes raw foodists can easily make which may severely compromise your teeth. I’ll confess the mistakes I made, so you won't have to repeat them. The price of this book is a tiny fraction of what you’ll save in avoiding uncomfortable dental procedures, their attendant astronomical costs; moreover, the information will help your tooth and gum health and even preserve or improve your smile. Keep in mind, however, that I am not a dentist. Nor do I have any desire to overstep my bounds and act like one. I am not interested in getting into complicated procedures I'm not qualified to talk about. Nor do I want to call down the wrath of the dental establishment by infringing on their territory. There's no substitute for the judgment of a duly qualified dental practitioner. My work is supplementary. I simply want to point out some of the ways that eating raw foods will make you different from the average patient, alert you to some of the options you'll have, and point out some of the questions you should be asking. Tonya, thanks for your new book The Raw Food Diet and Your Compromised Teeth. I have already found this book helpful when I first skimmed through it. I intend to read again and again to make sure I put everything into practice. I have already started some of your tips on dental care and will include others as I read your book again. I recently wrote an article for Get Fresh! magazine called Twenty Ways the Raw Food Lifestyle Makes You Special. In this feature, I examined twenty ways in which you become a unique specimen when you eat raw foods. But I could have kept going, listing the differences up to thirty, forty, and beyond. Why should this matter to you? Because being a raw foodist will make you alien to most doctors - dentists in particular. It's not that they are insensitive to your plight and your particular health concerns. It's just that they are not familiar with them. Unless you have a holistic dentist who is also familiar with raw food lifestyle specifics, he or she will not be aware of certain aspects of your health that need to be taken into account. Such a dentist probably hasn't often encountered, or maybe has never encountered, people who are on our ‘different path’ and are sometimes after quite different results from those of your average Joe. People on raw foods are usually more health-oriented, more willing to follow unconventional methods than others. They are more in tune, too, with the workings of an exceptionally clean, toxin-free body - cleaner than most health care professionals have ever seen! It is in your best interest to take responsibility, to know what questions to ask and what your alternatives are. Most dental professionals will usually be coming from quite a different perspective, despite the fact that they, too, have your best interests in mind. Be sure to watch Dr. Gammal's DVD at www.rooted.tv. If you have good teeth you nonetheless will be shaken by this information... Good! You'll take better care of your teeth in the future. If your teeth are already compromised and you feel you're staring up from the abyss... you needn't despair. You don't have to swipe your credit card at buy-your-own-casket-dot-com just because you once had a root canal. Why do I feel compelled to write this book? Simple answer: I refuse to be afraid. Fear is our worst enemy. Conventional medicine wants us to be afraid, tells us to have regular visits, tests and insurance. But health promoters can scare us out of our wits just as bluntly. This book is geared for people who aren't blessed with immaculately healthy teeth to begin with and for those who have already had root canals and other procedures done. This book&'s main purpose is to give you encouragement. Root canals and oral surgeries are bad, very bad - but they aren't going to kill you! At some point in your life, you might be facing one of these situations. Yes, they all can have serious complications. Here you'll find valuable information so you can still win this seemingly hopeless battle. I am living proof...it can be done. You can achieve excellent health even if you started with poor teeth. If I can do it starting from where I did, then you, too, most certainly can! Do you want to read this e-book? You can download it from my store. ...And about the toothpaste, it is so powerful, it feels like I have new teeth! So clean and healthy!